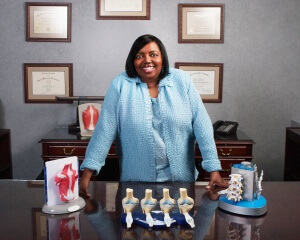 Guest Bio: Winifred Bragg, M.D., FAAPMR, Diplomate, Pain Medicine, author, KnockOutPain® Secrets to Maintain a Healthy Back, is an expert in providing non-surgical treatment for injuries and pain resulting from spinal and orthopedic conditions. Segment overview: In this segment Dr. Winifred Bragg, MD, talks about when surgery becomes necessary for spinal and orthopedic conditions. Neal Howard: Hello and welcome to the program, I’m your host Neal Howard here on Health Professional Radio. In studio today with us is Dr. Winifred Bragg, author of Knockout Pain: Secrets to Maintain a Healthy Back. Doctor Bragg is an expert in providing non-surgical treatment for injuries and pain resulting from spinal and orthopedic conditions. Now she’s been featured on all the major US television networks as well as in Red Book, Women’s World, Self Magazine and more and she’s here today with us on Health Professional Radio to talk about when surgery is the route to take when it comes to treating back pain. Welcome to Health Professional Radio Dr. Bragg. Dr. Winifred Bragg: Thank you Neal. N: Thank you. Now you’re the author of a brand new book, Knockout Pain: Secrets to Maintain a Healthy Back. You’re also an expert in providing non-surgical treatment for injuries and pain that result from spinal and orthopedic conditions but even though you’ve authored this book, let’s talk about when everything else has failed. You’ve done what you should do or maybe you haven’t done what you should do to maintain a healthy back, when is surgery the only way? B: Well like you said, surgery should be the last resort but it’s the only way say if you have of what we call a progressive neurologic loss. That means Neal that you may have weakness in your leg and when you try to pick up your foot, bring your toe towards your nose, you’re not able to do that so you’re dragging your foot, you need to go and see a surgeon. Now sometimes people may say ‘My leg feels a little weak,’ just because your leg feels weak it doesn’t mean that you have to have surgery unless you’re getting weaker and weaker because you may feel weak and yet the doctor may examine you and you’re not weak but if you’re dragging your foot on your legs… progressive weakness your legs are getting weaker then you need to have surgery. If your doctor says ‘Hey Neal I looked at you last week and hey 2 weeks now you’re weaker, you need surgery.’ If you have a loss of control of your bowel or bladder, some people say ‘Well I’m constipated.’ No not constipated this means that you’re actually right there don’t have any control and you lose control of your bowel and your bladder, that’s a surgical emergency, you shouldn’t wait, you should go straight to the emergency room and have that decompressed. That is a very very rare but when that happens you need to have that done, that’s called a cauda equina syndrome, compression on your spinal nerves in the cauda equina area of your spine on the spinal cord. Like I said it is rare but when that happened that’s a major surgical emergency. If you have a fracture you may have to have a surgery, if you were in a major motor vehicle accident or some type of major accident sometimes you have to have a surgery then a fusion. Those would be the reasons when you absolutely have to have surgery or if you have a cancer or tumor that needs to be surgically excised. N: Wow, so basically when surgery is the only route there’s a situation that’s occurring in your life that needs, calls for attention pretty much right now or at least within a few days, right? B: Right, that’s right. If you have like I’ve said weakness, progressive weakness is the key. You may be weak because you got to exercise to keep things strong, you may feel some weakness in your legs but if you say ‘I’m weaker today than I was yesterday’ then you need to be evaluated and that loss of control of bowel and bladder, I want to point out that’s very rare but if you have that, that’s a surgical emergency but all other things can be treated conservatively and usually recommend good conservative or non-surgical treatment for about 6 days or weeks before we say ‘Hey this has failed, let’s try surgery’ but in no…you would go on and have it as you see it. N: So many of us suffer with some form of back pain and you having been in practice as an expert in treating back pain, talk a little bit about some of the psychological aspects that go along with sometimes chronic, severe back pain. And sometimes people, they don’t want to talk about it because they don’t want to stop working or they let it go on until they absolutely have to stop rather than addressing it and often times if it’s addressed early, non-surgery isn’t necessarily an option. B: Right and what I tell people is most people know about the Wizard of Oz, so I tell people “While we want to stay with our back pain, we want to stay on the yellow brick road”. I will give people exercise regimen and different things they need to do and then they may feel great and what do they do just like everybody else you put that sheet of paper down, enough of those exercises again and you need to come back to them. And so the key to it is to stay on doing your exercises, stay with your program so that you can kind of prevent having to go and have surgery. N: Now you mentioned staying with your program, a program implies keeping track. Your book talks about keeping a diary that where you can keep track of your health especially when it comes to how your back is doing health wise. B: Right and I give a diary in the back where people can keep track of their exercises, their body weight and then I have a list of common exercises that you can do. I needed to caution that all exercises are not for every diagnosis and that’s why you need a customized physical therapy program for you. A person who has spinal stenosis…narrowing of the hose where the nerve comes out usually found in people aged 50 or older won’t need the same exercises as somebody who has a slipped disc, you’re following what I’m saying? So you need to have customized exercises that go for what your condition is and you need to remember to do those and that’s why I tell people that when you go to a program or go to the therapist and we give you exercises to do, you need to continue to do those even when you feel better and so you need to check in and make sure that you’re doing those. The one of the things I caution people, the reason I talk in the book also about your preventive things you do, men doing tests for prostate cancer and women for breast cancer it because prostate cancer in the end stages can metastasize to bone and how sad it is Neal when a man has neglected and never had a prostate evaluation and he comes to me for back pain and when I work him up I have to tell him “Sir, you now have prostate cancer that’s spread to the bone, so we cannot neglect doing our preventive things when we say “My back’s hurting.” You want to look into these things and make sure you do your preventive things so that you don’t have back pain and find out that you have breast cancer or colon cancer or a prostate cancer that’s spread to bone because on and on you just let things nag and never took care of them. N: Now you’re the author of Knockout Pain: Secrets to maintain a Healthy Back, who is your audience? Is your book geared more toward the patient or do you find that other health care professionals that read your book or maybe having a change of mind when I comes to their thoughts on the treatment of back pain? B: Well my book is geared at a level where patients can understand it because I wanted to empower them and the subtitle of my book actually says “Read this before you go to the Doctor” so that they can improve your dialogue if you have a doctor, it’s gonna tell you questions you need to ask and how to explain things when you go to a doctor. So often people go to the doctor and they’re not able to explain what happened, so it gives you some cues, some keys of how you need to explain things when you go to the doctor but it’s also good for primary care doctors because a lot of times people don’t know to come to me. They go to their primary care doctor with their back, so I want the primary care doctor to also know not to just think of surgery first or sending their patients to an orthopedic, to send them to someone maybe interventional pain doctor, non-surgical specialist so that the patient can be exposed to viable non-surgical options before undergoing surgery. So those are my two primary audiences. N: Now where can our listeners get a copy of Knockout Pain: Secrets to Maintain a Healthy Back? B: You can get it at amazon.com, it’s available in the paperback version and kindle version and you could also go to my website, knockoutpain.com and go to the book page, it will tell you a lot about the book and you can click there, it takes you straight to Amazon, order the book. And I’ll like you to sign-up for my monthly tips, I give monthly tips and ask me and you can get tips by giving your email address and I give you tips on back pain and some other non-surgical treatments for other orthopedic conditions. Articles are on our website and you can get reading about an array of different diagnoses again to empower patients so that they can make well-informed decisions about their care. N: Great. You’ve been listening to Health Professional Radio, I’m your host Neal Howard and we’ve been in studio with Dr. Winifred Bragg, author of Knockout Pain: Secrets to Maintain a Healthy Back. 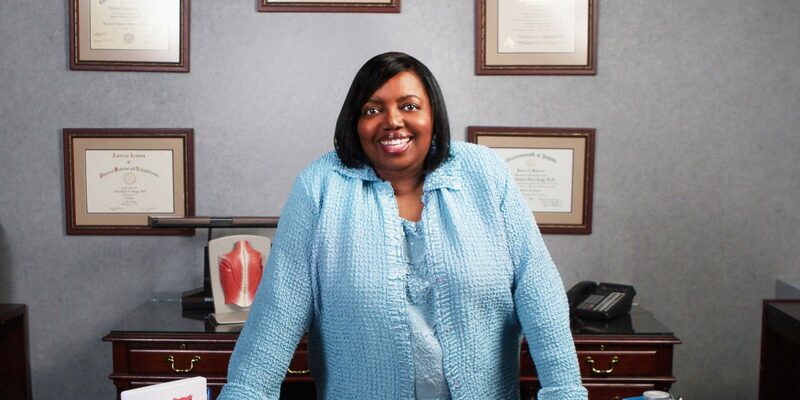 Dr. Bragg is an expert in providing non-surgical treatment for injuries and pain resulting from spinal and orthopedic conditions but she’s also an expert in knowing when surgery is the option and the way to go. It’s been great having you here in studio with us today Dr. Bragg. B: Thank you Neal, I enjoyed it as well. N: Thank you. Transcripts and audio of this program are available at healthprofessionalradio.com.au and also at hpr.fm and you can subscribe to this podcast on iTunes.